2016 was an incredibly creative year for fiction podcasts. NightVale Presents alone released three new podcasts, GE released two, and various independent producers took a crack at their own stories. Whatever a listener’s taste, they were likely to find it in 2016. From horror, to fantasy, science fiction, and others, 2016 delivered in a big way. To make the list, podcasts had to be fiction, and had to begin in 2016. The season did not have to be completed in 2016. This is the list of the top 5 best new fiction podcasts of 2016. Life.After, one of General Electric‘s new productions makes the list coming in at number 5. With the advent of the internet, many people spend a majority of time online. “VoiceTree”, a new social media website, gives people the ability to post messages that are just sixty seconds long. But, does this app have more power than previously thought? Life.After follows FBI agent Ross Barnes, who spends his time talking and listening to his deceased wife Charlie, online. This podcast poses the question, “is death really the end?” In a creative way. As technology advances, does this change where humans can spend their afterlives? Is there an end? Is this a hoax? Life.After is a production of General Electric and Panoply. It is a ten part series. 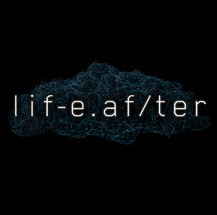 You can listen to episodes of Life.After on iTunes, Panoply, and Stitcher. An independent horror production, Mabel, comes in at number 4. Mabel tells the story of an elderly woman named Sally with many strange items in her attic. The story is told by Sally’s carer, Ana Limon, via voicemail to her daughter, Mabel. Mabel is one of the most interesting horror podcasts to come out of 2016 because of the unique format and story. As Ana becomes more frantic to get in touch with Mabel, more questions begin to surface. Where is Mabel? Why won’t she pick up her phone? Why are all these items in the attic? Mabel is a written and produced by Becca De La Rosa. 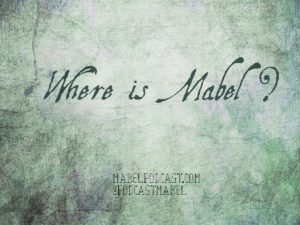 You can listen to episodes of Mabel on iTunes, Stitcher, and at MabelPodcast.com. Alice Isn’t Dead, the second production under NightVale Presents comes in at number 3. Following an unnamed narrator (Jessika Nicole, of Welcome to NightVale) on a cross country truck driving journey to find her wife, Alice. During her travels, she runs across many strange and exciting new people, places, and things. Chased across country by a man she calls “The Thistle Man”, the narrator fights to keep looking for Alice. Who is The Thistle man? Why is he following her? What does he want? Where is Alice? Alice Isn’t Dead is a production of NightVale Presents. 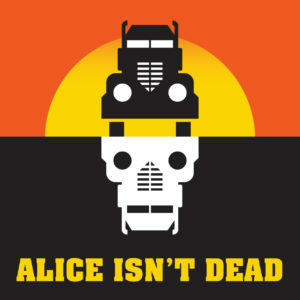 You can listen to episodes of Alice Isn’t Dead on iTunes and Stitcher and at NightValePresents.com. Another “apocalpyse fiction” selection, Lesser Gods is not to be missed. In the near future, humanity loses the ability to reproduce in the usual manner. New techniques are developed, and fail. Rhea, Persephone, Eros, Apollo, and Iris are the last five twenty-two year olds on Earth. They live privileged lives, doing whatever they want, whenever. All that changes when one of them is killed. Is someone hunting down the last hope for humanity? Why? Joined by Hera and Clark (bodyguards from the previous generations), the final four fight for their lives, the last hope. Lesser Gods is a produced by Colleen Scriven. 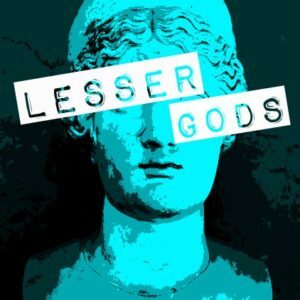 You can listen to episodes of Lesser Gods on iTunes, Stitcher, SoundCloud, and at LesserGods.com. The Penumbra Podcast is one of the most talked about fiction podcasts of 2016. Garnering an impressive online following, The Penumbra sparked fans to create theories, fan art, and head canons, the likes of which have not been seen since Welcome to NightVale and break out hit, Wolf 359. Done in the style of old radio-noir detective shows, but set in space, The Penumbra is a hotel travelers will want to visit for years to come. The Penumbra has many rooms, and some lead to serial stories, others to stand-alone episodes. This podcast mainly follows the adventures of intrepid detective Juno Steel as he fights the forces of evil. The Penumbra Podcast is produced by Sophie Kaner and Kevin Vibert. 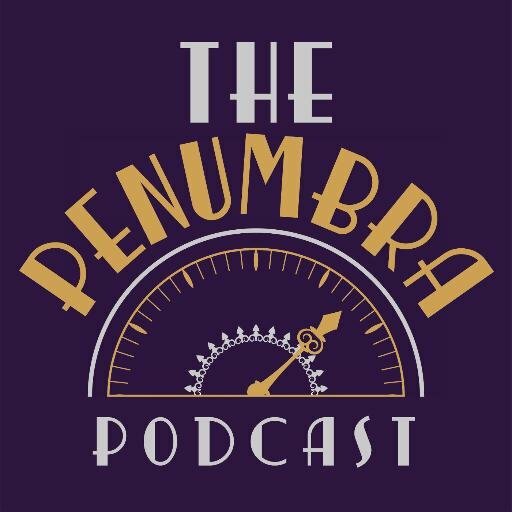 You can listen to episodes of The Penumbra Podcast on iTunes, Sticher, and at thePenumbraPodcast.com. Carolyn is married to science. She is a playwright and aspiring novelist. She is a werewolf enthusiast who loves gothic horror. In her spare time she writes poetry, and articles about podcasts for Geek Girl Authority.